At almost every turn in the Irish countryside there are remnants of ancient forts, some now reduced to mounds overgrown with grass, others the crumbling fragments of once-massive strongholds. The story they tell is of a harsh and often dangerous existence endured over thousands of years. Life in ancient Ireland was characterised by an almost constant series of disputes and skirmishes between neighbouring kingdoms. At various times in its history the island was divided into as many as 80 kingdoms, each ruled by a king, or ‘Ri’, elected by the clan. Status was determined by the amount of land a king controlled and by the number of cattle the clan possessed. Consequently, territorial invasions and cattle raids were common. As early as 600 BC the first rudimentary ‘forts’ were being built, either on natural islands in lakes or else on artificial islands called ‘crannogs’. These were constructed by piling up stones on the lake bed and then covering them with brushwood and a layer of soil. One or two houses of Wattle and mud or, later, timber and thatch, were built to house people and animals, and a crude palisade was often constructed around the houses as a final deterrent. The islands were reached by boat, and any approaching enemy could easily be repelled. Crannogs survived as a means of defence for more than 2000 years. But their useful- ness came to an abrupt end with the invention of the cannon, which made them easy to attack from the mainland. All that is left of the hundreds of crannogs that once speckled Irish lakes is a mosaic of grass- covered islands. Lough Gara, in County Sligo, was discovered during a drainage programme to have more than 200 crannogs, thought to have been inhabited until about AD 1000. The lake has been filled again, but the tree-covered crannogs are still visible. On the mainland, farmsteads were surrounded by a ring of earthen or stone walls up to 200ft in diameter. These ‘ring-forts’ were often sited on hilltops to make approach more difficult for an enemy, although many were modest affairs, intended more to fend off wild animals than marauding invaders. An unusual feature of many ring-forts was the ‘souterrain’, an underground passage which served as a hiding place. One of the most perfect examples of a fort is at Staigue, in County Kerry. Ring-forts were in use from about 200 BC right up to the 17th century. Other types of fort included hill-forts, like the one on the Hill of Tara, which were much larger than ring-forts and often included burial mounds from earlier times, which implied that they had some religious significance. The forts were surrounded by a large stone Wall, and often had a ditch on the inside of the wall rather than outside it. There were promontory forts, too, so called because they were built on promontories, which were naturally defended on three sides by the sea and on the fourth by banks and ditches. Dunbeg fort on the Dingle peninsula is a good example. In 795 the sporadic skirmished of the Celtic Kings were overshadowed by a much darker threat – the Vikings. These fierce, heavily armed warriors first raided coastal settlements and then struck deeper into the country. More sophisticated defences were called for, particularly at the monasteries, the focus of Viking raids, monasteries had previously been built of wood or wattle, they were now made from stone. Added to them was the Round Tower, which doubled as a bell tower and lookout post in times of peace and a place of refuge during raids. 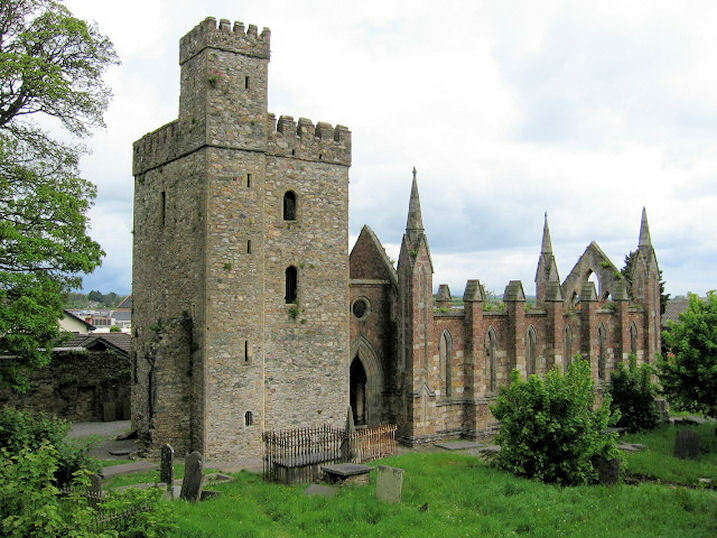 These towers, built in the 10th to 12th centuries, were up to about 100ft high with thick walls that tapered, and contained about live storeys linked by an internal staircase. Entrance to these towers was by a ladder to a doorway set several feet above ground level, so once the ladder was hauled up, the towers were nearly impenetrable. They were, however, vulnerable to fire, perhaps from a flaming arrow through one of the windows set high above the ground, and those monks who were not smoked out also risked being starved out by a long siege. Round Towers can be seen in many of the monastic sites scattered around Ireland - at Kells, Clonmacnoise and Monasterboice, for example. The Vikings were finally routed at Clontarf in 1014, and the Irish kings were left once more to light among themselves. During one of these feuds, Dervorgilla, the Wife of the King of Breifne, was abducted. In the battles that followed, her abductor, Dermot MacMurrough, lost his lands, and invited the Anglo-Normans to come to his aid. In 1169 the Norman invasion of Ireland began. To protect themselves during their forays into the countryside, when defences needed to be established quickly, the Normans built a stop-gap fort - the motte. This was a large mound of earth with the top levelled to provide a flat base for a timber tower, which served as a lookout. Frequently a ‘bailey’ was added at the foot of the motte. This was a sort of ‘corral’, enclosed by a bank of earth and a ditch, or by Wooden palisades, and it housed livestock at night. But these structures were not enough to maintain the Normans’ position as conquerors of the land, and to establish them- selves more securely they constructed substantial castles, one of the most impressive of which is Carrickfergus in County Antrim, built by John de Courcy around 1180. These strongholds had massive keeps protected by a curtain of thick walls with rounded towers at the corners, and were easily defended. The wars continued, with the Irish chiefs battling to oust the Normans and regain their land. Outside the walled towns, homes remained fortified, many of them built as square towers surrounded by a ‘bawn’ or high wall with turrets at the corners. In the l6th and l7th centuries, as the last chiefdoms disintegrated, these towers started to be built with comfort in mind as much as defence, marking the easing of the fortress mentality. 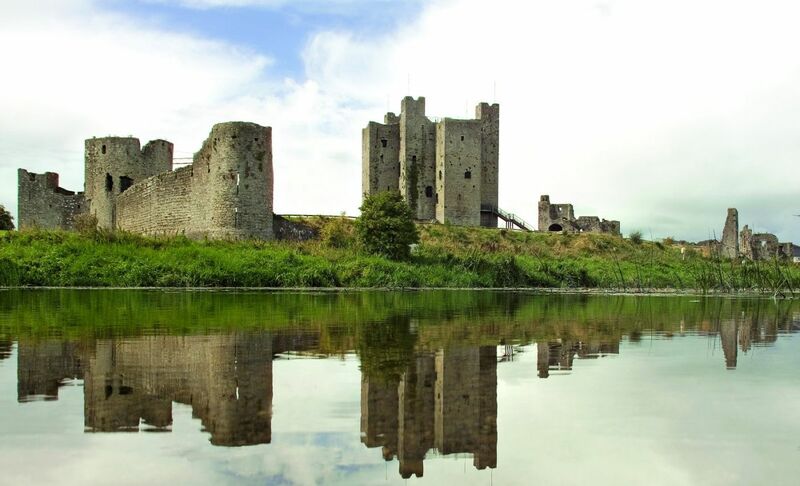 Ireland’s many fortresses are a must see on your tours of Ireland.